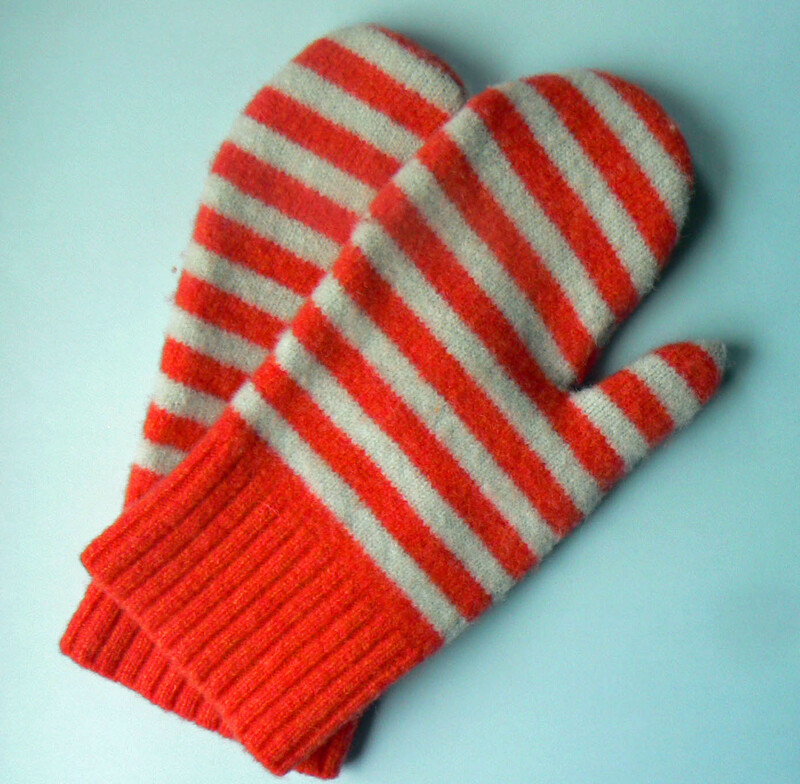 This no-knit shortcut to making mittens is so preposterously easy (and somehow ridiculous) that it makes me giddy. To prep, toss an old sweater into the hot cycle of your washing machine and shrink it to kid-size. The finished cuffs of the sweater sleeves make excellent cuffs for mittens. Constructing the mittens takes about 10 minutes. First, I turned the sweater sleeves inside out and lay them flat, using the existing sleeve seam. I traced my hand with pencil and sewed around the top and thumb. Turned right side out and that’s it: new stripey mitts! 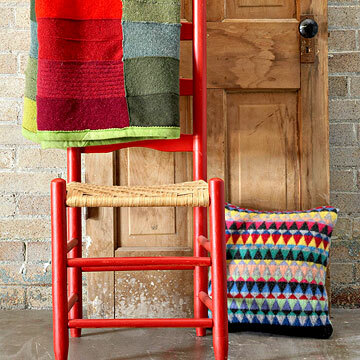 This was my first foray with felted sweater wool–I’d like to collect enough sweaters to make a blanket, like this one from the Better Homes and Gardens blog. I love these! The colors are great. We recently discovered that all of Tom’s sweaters have holes in them–maybe I’ll be making a blanket in the near future, or doing a lot of repairs.